Young children around the world associate gold and silver bars with tales of pirate treasure. Roaming the waters of the Caribbean Sea and Indian Ocean for roughly 300 years, pirates were infamous for their dogged pursuit of precious metals. Stories of buried treasures consisting of gold or silver bars and coins continue to fascinate treasure hunters to this day. 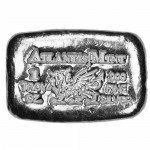 Now, you can own a unique silver bullion product when you purchase a 5 oz Atlantis Mint Pirate Poured Silver bar from Silver.com. Design features a large pirate flag image. A brand new product with Silver.com, Atlantis Mint Silver Bars are unique from the vast majority of silver bullion products in a number of ways. The most prominent differences are noticeable from the minute you lay eyes on this product. 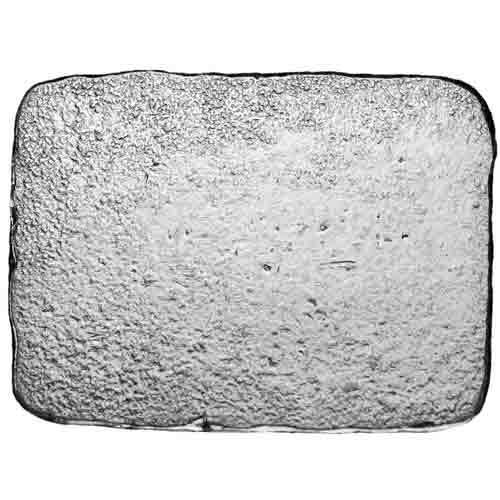 Many silver bars minted today have intricate designs, rectangular shapes, and clean edges. The Atlantis Mint poured bar is anything but normal. Given the appearance of this bar, you’d be forgiven for thinking it was just discovered under the waters of the Caribbean in a lost pirate treasure chest. The bar has a rough, rectangular shape with uneven edges and no raised lips or other features. Rather than a complex design on the face, the silver bar has the only markings you’d need to identify it is an Atlantis Mint Poured Silver bar. On the primary face of the bar is the image of a skull with two swords crossed behind it. A ribbon stretches around three sides of the skull, with the weight of the bar on one side, the metal content and purity on the other, and the engraving “A M” along the top for Atlantis Mint. There is no design on the opposite side of the bar. 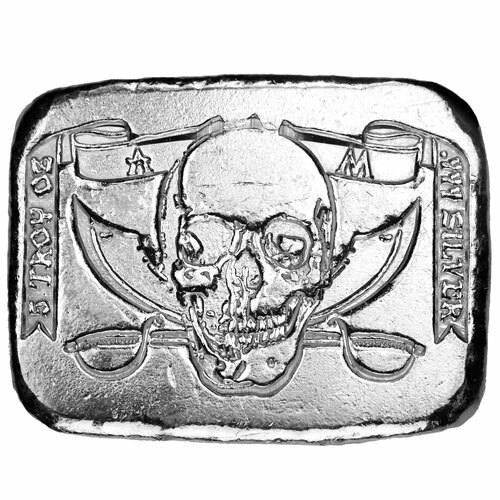 Each Atlantis Mint Pirate Silver bar is hand poured, giving it a unique look you won’t find in other silver bullion products. The Atlantis Mint is a private facility in the United States. A family-owned and family-operated business, the Atlantis Mint specializes in silver, though it does work with gold, titanium, and copper as well. 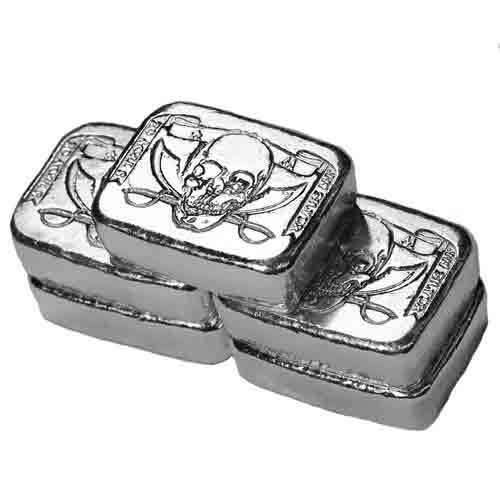 If you have questions about this Atlantis Mint Pirate Hand Poured Silver bar, a Silver.com associate is available to handle your inquiry. Our associates are available at 888-989-7223 or online using our live web chat and email.